All these moves by the Conservative government will ensure that opposition parties stand less and less chance of winning power. Our democracy is being enfeebled and is shuffling towards an elective dictatorship, a one-party state. 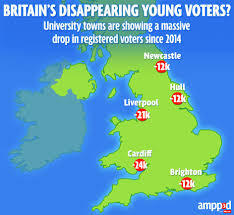 What is depressing about all this is that nothing bores the pants off the electorate like constitutional matters, so there is little interest in the need for change. A poll by BMG Research last April did show that 74% of people backed the principle of votes translating proportionally into seats, though that may reflect no more than it sounding like a good idea. Not unsurprisingly the country has little in the way of a written constitution, though the Magna Carta signed in 1215 can always be wheeled out when necessary. The cover of the Daily Express in January 2014 attempts to emulate the 1940 wartime cartoon of the celebrated David Low that appeared in the Evening Standard. David Cameron offered a referendum on Britain’s membership of the EU in January 2013 in order to appease his anti-EU backbench MPs as well as others in his Cabinet. He knew that they would never give up. The issue has plagued the Conservative Party for thirty years, from when Margaret Thatcher was Prime Minister. He probably sympathises with the Conservative ex-Prime Minister John Major, who in 1993, when it was thought that a radio interview was over, called three members of his cabinet ‘bastards’ for voting against ratification of the Maastricht Treaty. This forced Major to hold a vote of confidence, and a leadership election. There had also been the constant ranting of the anti-immigration anti-Europe right-wing press and the improving poll ratings of UKIP to contend with. The polls reflected the understandable discontent of many people over the reduction in their incomes, increased job insecurity, the housing crisis, and soaring private rents. But many supported UKIP because of its opposition to so-called ‘open-door immigration’, the alleged depression of wages by immigrants who would work for less, and the perceived pressure on housing caused by migrant workers. These are not simple issues, but immigrants serve as a scapegoat egged on by distorted and rabid stories in the right-wing tabloid press. Allied to this was the other great cause of the right-wing press: Britain’s loss of sovereignty to the European Union, the authority of Britain to govern itself. This was usually exampled by un-elected pettifogging bureaucrats in Brussels burdening our businesses with mindless regulations, and interfering in every aspect of our lives. Our rights, our laws, our working hours, our cars, our food, our beer, even our pets. So there has been little love lost between the Conservative Party and the EU. The government has champed against the EU and ridiculed it whenever it served their interests. But the genie is now out of the bottle. The government is in a bind. If the current polls are to be believed, more people want out of the EU than want to stay. And this may not allow for those ‘right thinking people’ who will vote to leave but who don’t want to say so publicly. David Cameron never wanted this. The fundamentals are in Cameron’s favour though as there is a considerable risk that London’s pre-eminent position as a world financial centre could be threatened. 45% of Britain’s exports go to the EU, which is the largest single market in the world. If we leave, the leading EU nations would never allow Britain a ‘pick and mix’ approach to the bloc’s trading rules. We would still have to abide by many EU rules, without any influence over how they are decided, and exports would be subject to tariffs. Negotiating a comprehensive free trade agreement could take years and have an uncertain outcome. The government wants a free market. It enthusiastically supports outsourcing of public services, privatisation, low taxes, reduced public expenditure, and job flexibility. But the EU collectively is not so ideological. It can’t be as it is made up of 28 member states. 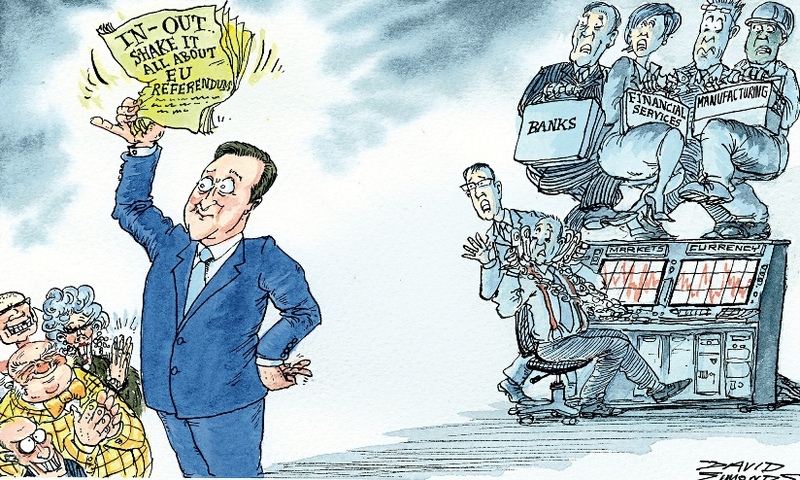 One issue demonstrates the clash between the government’s free market ideology and the EU. Over the last few years large numbers of high-profile global companies have been found to be paying little or no tax on the profits that they have earned in Britain. 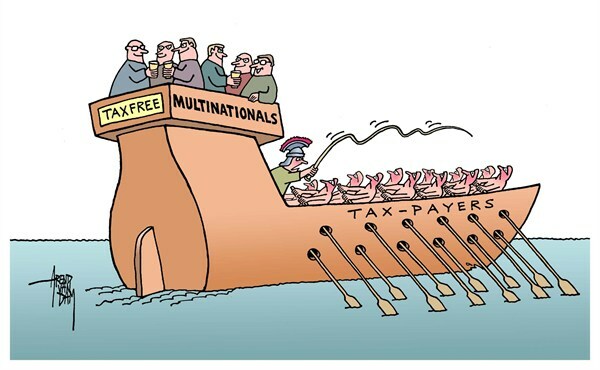 Companies use tax avoidance schemes such as claiming that their income is earned in a different country to where its operations is really based. Is the small office in a low tax country really its operational centre, not the multiple offices and warehouses in a country where taxes just happen to be higher? The tax avoiders with multi-million and billion pound profits include Apple, Amazon, Facebook, FedEx, Fiat, Gap, IKEA, LinkedIn, Pepsi, Starbucks, Vodafone, and of course Google. Osborne has constantly spoken of fairness in his speeches: ‘we know what the British people mean by fair’ (2012 party conference), we will crack down on ‘those who will not pay their fair share of taxes’ (2015 budget), and repeating Cameron, ‘we are still all in this together’ (2015 party conference). In his March 2015 budget, Osborne went one step further in defending his record on closing tax loopholes, ‘we’ve changed all that – and it was this prime minister [David Cameron] who put tackling international tax evasion at the top of the agenda at the G8’. Despite these fine words, in June 2015, the Treasury objected to plans announced in Brussels to combat massive tax avoidance by the world’s biggest multinationals through the introduction of certain common tax rules. David Gauke, financial secretary to the Treasury, told the European parliament that Britain insisted on ‘tax competition’. Britain’s approach would of course allow multinational companies to play one country off against another. The government’s relationship with Google exemplifies these double standards. In January this year, the Chancellor of Exchequer announced that it was ‘good news’ that Google had agreed to pay £130 million in taxes for the period 2005 to 2014 following a six year-long audit of the company’s UK business. During this period, Google, slogan ‘Do No Evil’, had profits of £5.4 billion in Britain, an effective tax rate of 3% compared with the current 20% rate of corporation tax. It was later revealed that £30 million of this ‘settlement’ did not relate to profits but to share options, a quite different tax. Osborne was heavily criticised for his claim that it was good news, but said that the settlement had been agreed by HMRC, implying that he had nothing to do with the deal. This is despite Google having had at least 24 official meetings with 17 different ministers in the 19 months between January 2014 and September 2015. The government’s record on tackling such tax avoidance schemes is lamentable. The government’s defence of national sovereignty and democracy mysteriously evaporates as soon as it impinges on corporate power. 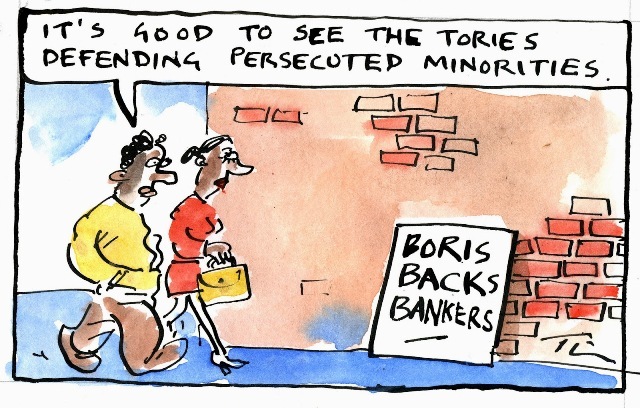 Only a year after the financial crash, Boris Johnson vowed to defend the banking community which he said was viewed as a leper colony by the public, warning that the City’s role in bringing the UK economy back to health will prove critical. Despite the huge impact of the 2008 financial crash the government continues to give big business an easy ride. The separation of retail and investment arms of banks, ring-fencing, as recommended in 2011 is being implemented but banks have been given until 2019 to do so. In July 2015, the Treasury announced that it would not be renewing the contract of Martin Wheatley, the Chief Executive of the Financial Conduct Authority (FCA), Britain’s top financial regulator, when it expired in March 2016. Wheatley, who had been in post for two years, had been spoken of as having the necessary courage to resist the pressure of bankers to weaken regulation. However at his Mansion House speech the previous month George Osborne had promised a ‘new settlement’ with Britain’s financial firms, adding ‘simply ratcheting up ever-larger fines is not, in the end, a long-term answer’. This was widely interpreted as a desire to ease the regulatory pressure on the sector, and prefigured Wheatley’s removal. Six months later, with a replacement for Wheatley still not having been appointed (he resigned in September 2015), the FCA announced that it had shelved plans for a landmark inquiry into whether banking culture had contributed to banking scandals. Some commentators suggested that the decision had been forced by the Treasury and that it was politically motivated. After the British Empire fell apart after the Second World War, Britain embraced the economic opportunities that Europe’s recovery presented, but it has never loved the political obligations that came along with those opportunities and which, for many of the European partners, were the main purpose. 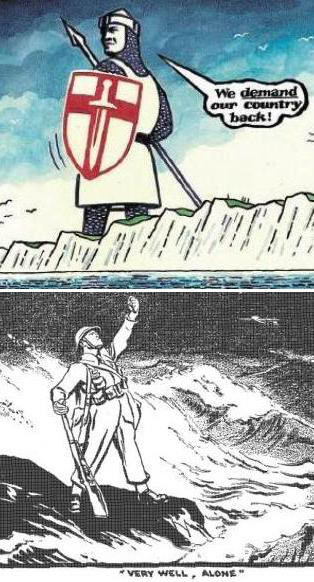 The English Channel has been a barrier that has shaped the destiny of Britain. And it remains a border separating different ways of thinking about the EU, and what the EU is for. But when it comes to Britain’s place in a globalised market, Britain cannot afford to be alone. The irony seems to be that whilst capital and finance by and large wants Britain to stay in the EU (put on your sceptical glasses at this point as to who stands to gain), our City-orientated government could preside over Britain’s exit from the EU. Populist rallying cries stirred up by a right-wing press win the day, and the government, always quick to knock the EU, is hoist by its own petard. 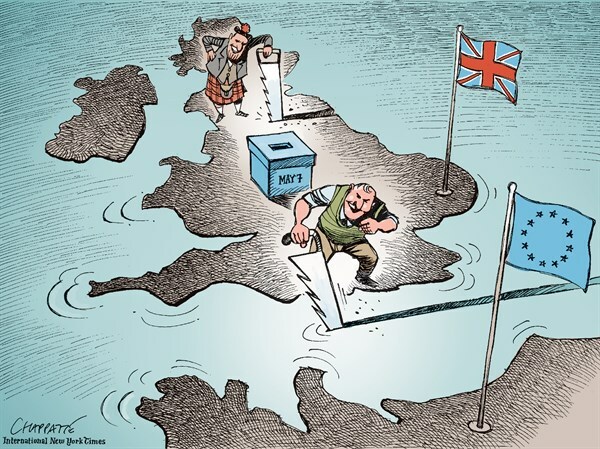 Britain’s exit will likely lead to the break up of the UK. Scotland would hold another referendum on leaving the UK with the intention of ‘re-joining’ the EU. If this comes to pass, would England keep an open border with Scotland or would the new English Borders Agency be patrolling Hadrian’s Wall? Would Northern Ireland meekly accept the ending of its open border with Eire? So much for the unity and sovereignty of the UK. Here are my predictions for what might happen over the next four years up to the next general election in May 2020. Whether now or as result of further negotiations, David Cameron will announce that the reforms he has obtained from the European Union are sufficient for him to recommend that Britain stay in the European Union. Most people believe it’s a face-saving exercise. There will be social unrest and disorder stemming indirectly from the effects of cuts in public expenditure, particularly the crisis in housing. But greater polarisation in society is the real culprit. The government blames extremists and criminals. It puts forward some big ideas that will cost a lot of money that it doesn’t have, and carries on. 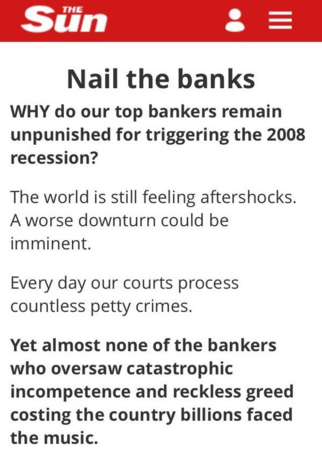 An editorial in The Sun in January 2016 suddenly attributed the financial crash of 2008 to the people who actually caused it. That’s quite a u-turn for a paper that in the election last year, along with David Cameron, successfully blamed Gordon Brown and Ed Balls for crashing the economy. Economic growth will continue to slow throughout the world. Though the world is still recovering from the 2008 crash, there is likely to be another economic recession following a loss of market confidence and banks going bust due to insufficient equity. The Bank of England’s ability to act will be hindered by interest rates being close to zero. Should there be a crash, the government will not have the cash, nor the consent of voters, to bail banks out a second time. Influenced by opinion polls that consistently say Labour will never win power whilst Jeremy Corbyn remains in post, he will be replaced by 2018, if not before. The Chancellor will fail to meet his budgetary targets by a wide margin in 2019, but he does not resign. The Conservatives blame adverse world conditions. Labour moves ahead of the government in the opinion polls. There is no clear winner in the 2020 general election and a coalition government is formed. 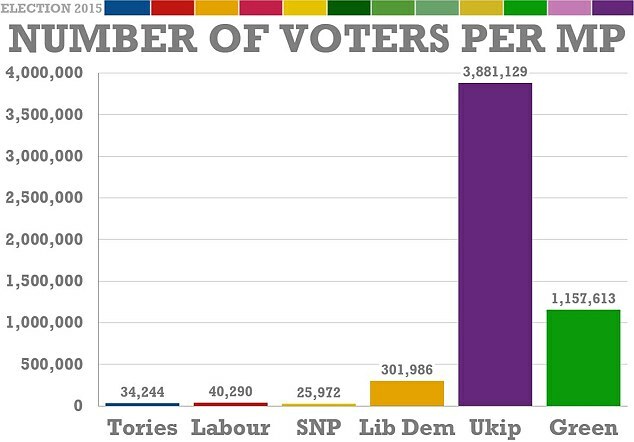 The number of seats in Parliament that the parties gain are once again totally at odds with how many votes each party received. The chances of the electoral system being reformed will depend on the strength of the minor parties in the coalition. I think you told me about it. A good idea. As immigration is the issue mentioned by most people who say that we should leave the EU (it may be the only issue they can think of), I’ve expanded my comments in the ‘Us and Them in Europe’ bit. One possible consequence of the breakup of the UK might be a new English Borders Agency patrolling Hadrian’s Wall!